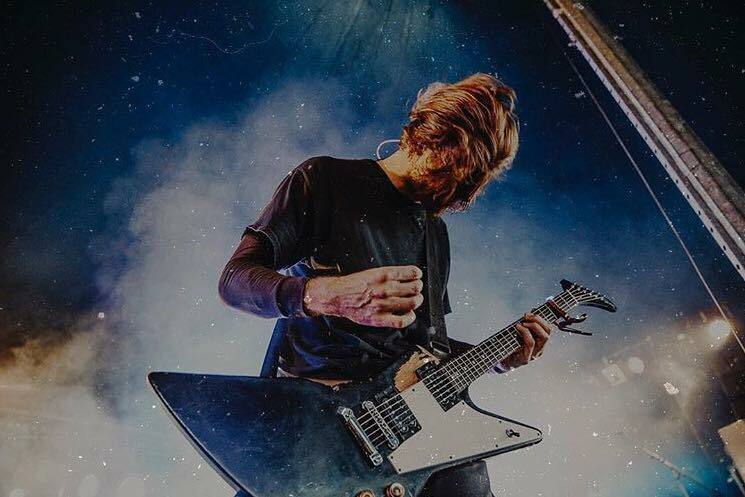 Formed in Leeds in 2007, Dinosaur Pile-Up have spent the last decades building a dedicated fanbase and taking their ferocious rock 'n' roll show worldwide. With three full length albums and numerous EPs under their belt, DPU have cemented their position as Brit-rock stalwarts. Ahead of their upcoming November tour through the UK, we spoke to frontman and guitarist Matt Bigland about his omnipresent Gibson Explorer and the Mesa Boogie amps' “thick, scooped heaviness”. 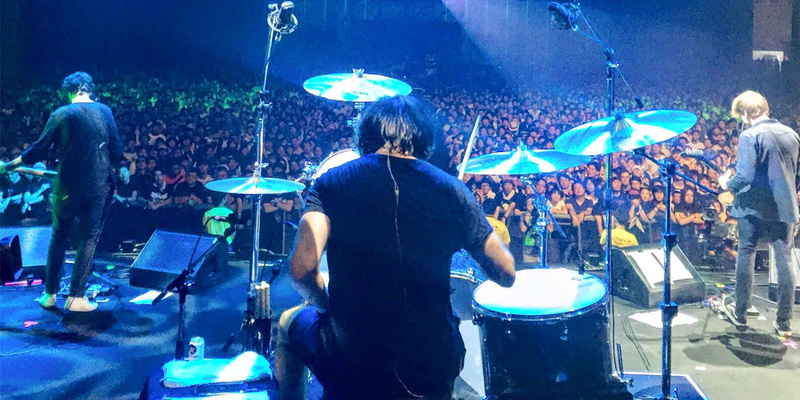 For more information on the upcoming shows, visit the band's website here. Dinosaur Pile-Up is now 11 years old. How do you think the band’s sound has changed in that time? I think the band’s sound has changed throughout the years with whatever I've been feeling at the time. Sometimes I want to write heavier stuff, and sometimes I feel like writing something more light or playful. It really depends on where I'm at and whatever mood I'm in. The songs being catchy—whatever the genre—is always important to me though. One thing that seems to have stayed consistent in that time is the use of a Gibson Explorer. What is it that keeps you coming back to the Explorer and how important is it to the overall sound of the band? Well, I keep using that guitar simply because it freaking rips and I can't afford anything else. I'm used to how that guitar feels and it's a great piece of wood. Old faithful. What are the other key components to Dinosaur Pile-Up’s sound? What amps are you using? Are you using any pedals? I'm always changing what amps and pedals I'm using. I've never really been a gearhead to be honest—I just care about how the songs sound and play, and as long as I can get the sound I want I'll just get on with it. I've been using Mesas a bunch recently. That scooped thick heaviness is my current jam. Dinosaur Pile-Up plays a lot of festivals. How does your festival rig differ from what you would take on a headline tour? It doesn't really. I try to use the same gear throughout. Why would I want my rig or sound to differ for different shows, you know? I use double rigs so I always add to my sound rather than changing it. As long as I've got that double amp setup I'm good to go really. You are known for playing in drop tunings. What is the reason for this, and how do you think it affects your songwriting? I don't always write in drop tuning, but yeah, I do sometimes. It's heavier, which is nicer, and to be honest I often do it to get around how I transpose a song so that I'm able to sing it. It really depends on where I take the vocal melody first. Is there one bit of musical gear that has eluded you so far? What would you add to your rig if you could find it? I don't know really. As long as it's heavy and it shreds like I want it to, I’m good. I'd rather be hanging backstage having a beer with someone than freaking out over what pedal I'm not using, you know? You've recently announced a headline tour for November. What can people expect from the shows, and should fans be prepared for some surprises? We're gonna be playing a few new songs for sure, which we're super excited about. It's gonna be a long fun set. I'm looking forward to the pit!